A person of interest in a home invasion robbery, a man wanted for assault and terroristic threatening, and a suspect in a robbery at a Puna beach will be featured on the next edition of the Crime Stoppers television program "Hawaii Island’s Most Wanted." The new episode starts airing Friday, January 18. In it, police continue to ask for the public’s help in locating 22-year-old Darren Joao for questioning about a home invasion robbery in Mountain View on November 24. Several men entered a Hawaiian Acres home, demanded property, and forced three men and a female minor into a car. The girl was then removed from the car and sexually assaulted. Police ask anyone who knows Joao’s whereabouts to call Detective Reed Mahuna at 961-2384. "Hawaii Island’s Most Wanted" also seeks the public’s help in locating 21-year-old James Deogracias Creekmur of Hilo, who is wanted for assault and terroristic threatening. Creekmur is suspected of running over a man with his truck in the parking lot of a Hilo Bar on December 20 and then punching him. He is also suspected of firing a handgun near a graduation party in Milolii on June 9. The TV program also asks for help in finding 19-year-old Alexander Kaleookalani Lancaster of Pahoa. 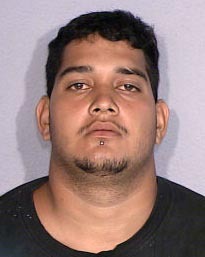 Lancaster is wanted for a robbery at Pohoiki Beach on December 22. 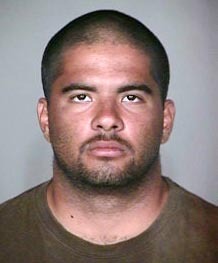 Police ask anyone who knows the whereabouts of Creekmur or Lancaster to call Detective Rio Amon-Wilkins at 961-2386. The program’s host, Assistant Chief Henry Tavares, asks anyone with information about any of the wanted persons to call the numbers above, the police department’s non-emergency number at 935-3311, or Crime Stoppers at 961-8300 in Hilo and 329-8181 in Kona. All Crime Stoppers calls are kept confidential. Crime Stoppers does not tape record phone calls or subscribe to caller ID. The program airs on Oceanic Time Warner’s public access Channel 54 on Sundays at 5 p.m. and Fridays at 5:30 p.m. It also airs intermittently on Channel 53.